Bulawayo City Council’s Engineering section has again been exposed by the heavy down pour that has been pounding the city for the better part of this week. Motorists who could not stop their daily business, drove around the flooded city streets and avenues, defying the possible danger of involving themselves in accidents. Several community Action teams from Bulawayo’s 29 wards have been petitioning the city fathers to rectify and improve the drainage system, but without success to date. According to Bulawayo residence associations, Bulawayo City Council has been run down by what they labelled incompetent staff. “Before the departure of experienced engineers and other professional council workers like Mike Ndubiwa, Bulawayo had the best drainage system in the country regardless of the influx of people from the rural areas nearby,” said a visibly angry 62 year old NkululekoNhiziyo. 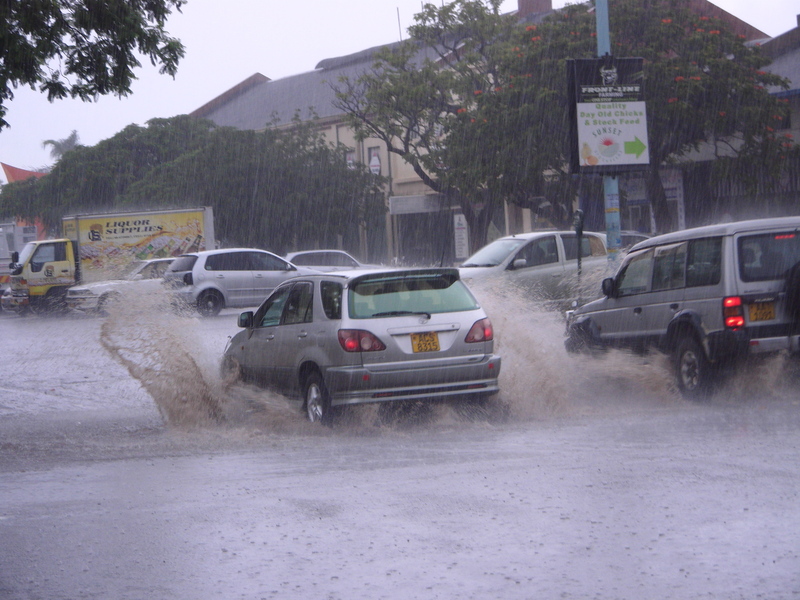 Zimbabwe Sentinel News, captured a number of motorists in near accidents, as they drove through flooded streets and avenues of Bulawayo. Bulawayo City Council’s engineering department could not stomach questions from the press and opted to do their ducking and diving with answers,referring us from one office to another. “While the Bulawayo City Council may be blamed for not servicing the drainage system, the community and residents are also to blame for throwing around litter that blocks the drainages.” Added Lionel Ngwenya, a Harare private Engineer, who was driving around for business.